An independent person in a country not known for its willingness to accept nonconformists (those that do not cooperate with customs), Soichiro Honda created an automobile giant despite the opposition of the Japanese government. One of his company's cars, the Accord, was a best-selling model in the American market. The first son of blacksmith Gihei Honda and his wife Mika, Soichiro Honda was born on November 17, 1906, in rural Iwata-gun, Japan. In 1922 he graduated from the Futamata Senior Elementary School. Honda had little tolerance for formal education and jumped at every opportunity he had to work with his true love: motors. Throughout his life Honda never forgot the impression that was made on him when he sighted his first automobile. Honda's first attempts at the personal motor business came in the mid-1940s when he designed and manufactured a small engine that could be attached to a bicycle to create a motorbike. The venture proved a great success. Encouraged by his early success, in 1948 he organized the Honda Motor Company. The following year Honda manufactured a small motorcycle called the "Dream D" and prepared to enter the highly competitive Japanese market, which he did through effective advertising. Within a decade Honda was the leading motorcycle manufacturer in the world and had a larger share of the American motorcycle market than Toyota and Nissan (with its Datsun cars) had in automobiles. Now Soichiro Honda attracted press attention, and, unlike most Japanese businessmen, he loved it. A small but talkative man, he was the opposite of what westerners imagined Japanese businessmen to be. For example, he promoted executives on the basis of performance rather than age, an unusual practice at large Japanese firms. Honda continued racing autos and motorcycles, dressed casually, and took pride in maintaining his independence from the Japanese business establishment. In addition, Honda openly voiced his admiration of American business practices and way of life. trying to unite several small companies into a third large one to compete with Toyota and Nissan. MITI and the Department of Transportation tried to discourage Honda from adding to the number of companies, but he persisted. He won MITI's permission by coming out with a low-priced small sportscar, the S 500, which was different from anything produced by the other companies. He followed it up with other sports models. His company was still very small, producing only three thousand cars in 1966—half of what Toyota was turning out in a week. Honda introduced the Civic to the American market in 1972. It got thirty-nine miles per gallon (mpg) on the road and twenty-seven mpg in city driving, remarkably efficient for an automobile. The popularity of the Civic rose throughout the 1970s, and in 1980 Honda sold 375,000 cars in the American market—almost three times as many as Subaru and twice as many as Mazda, but still behind Toyota and Nissan. The reasons for this success were obvious: Honda combined high quality with efficiency and economy. But his small cars still appealed to a limited market. Soichiro Honda did not directly supervise these introductions or the development of overseas plants in the United States and Europe. He resigned in 1973, but stayed at the company as "supreme adviser." 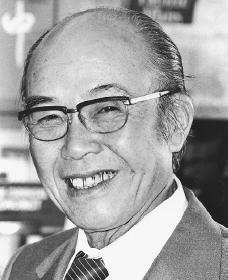 In 1988 he became the first Japanese carmaker to be inducted into the Automobile Hall of Fame. Honda died of liver failure August 5, 1991, in a Tokyo hospital. Honda's rise from humble beginnings to a powerful and influential businessman is one of twentieth century's most inspirational stories. Kotkin, Joel. "Mr. Iacocca, Meet Mr. Honda." Inc. (November 1986).